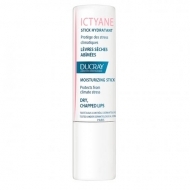 Fights aggressive dryness of the skin. 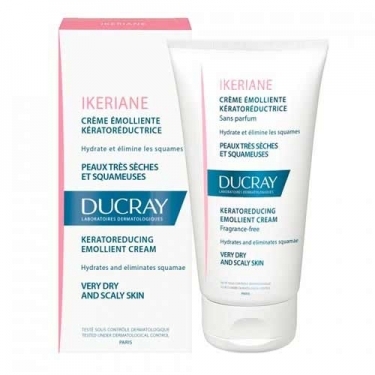 DESCRIPTION: Ikeriane Crème Émolliente Kératoréductrice from Ducray is an emollient and exfoliating body cream with AHA, suitable for the nutrition and hydration of dry, rough and scaly skin. It contains in its formulation guanidine glycollate Vaseline complex / glycerine in an O / A emulsion and pH 4.5, which causes it to eliminate the scales and hydrate. The skin is thin, smooth and soft. 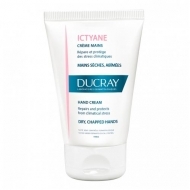 It provides an immediate and enduring sense of comfort and effectively fights against severe skin dryness, keratothelitic or scaly conditions. Scrub with a gentle massage.